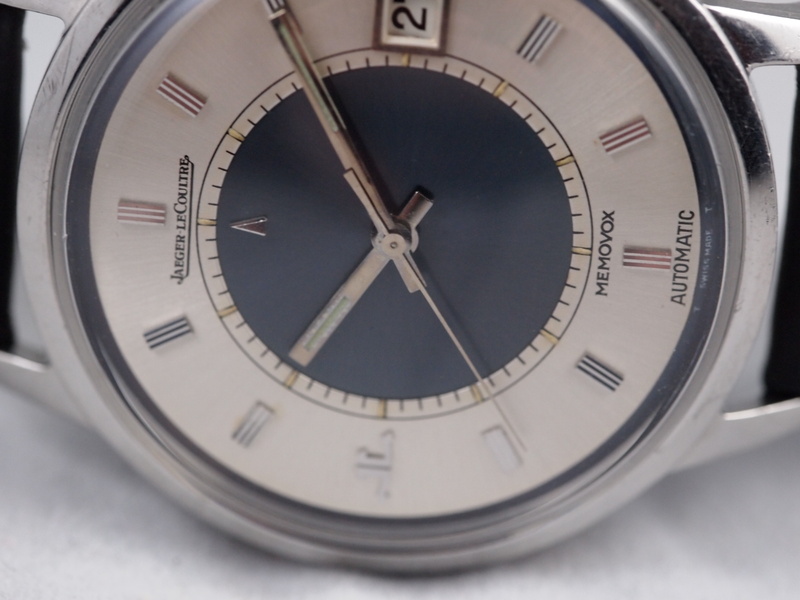 Most of the time, watches can be brought back to near perfect vintage condition with some care, the right parts, and lots of time. You might need a part here, a part there, and maybe a new crown and crystal, and some other casework. 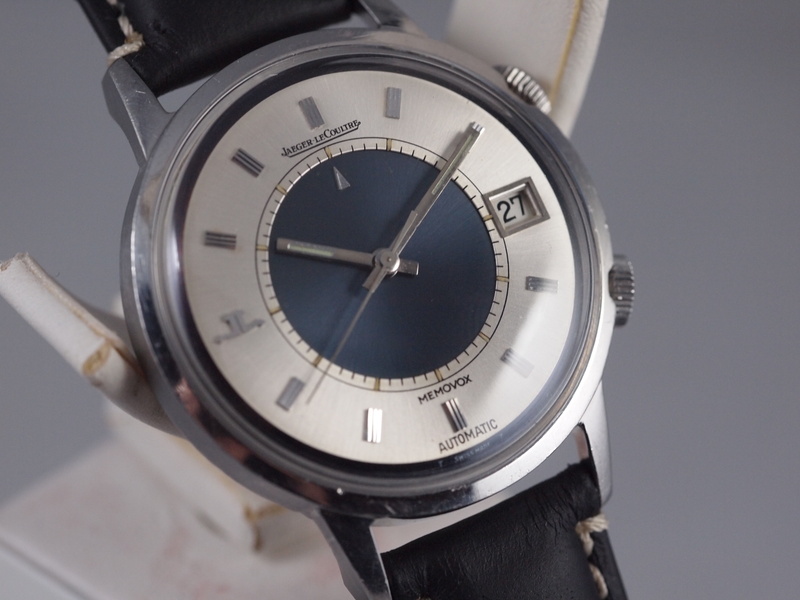 Then there are some watches that can only be brought back to a point that is near to perfect, but just not quite there no matter how much you may try. 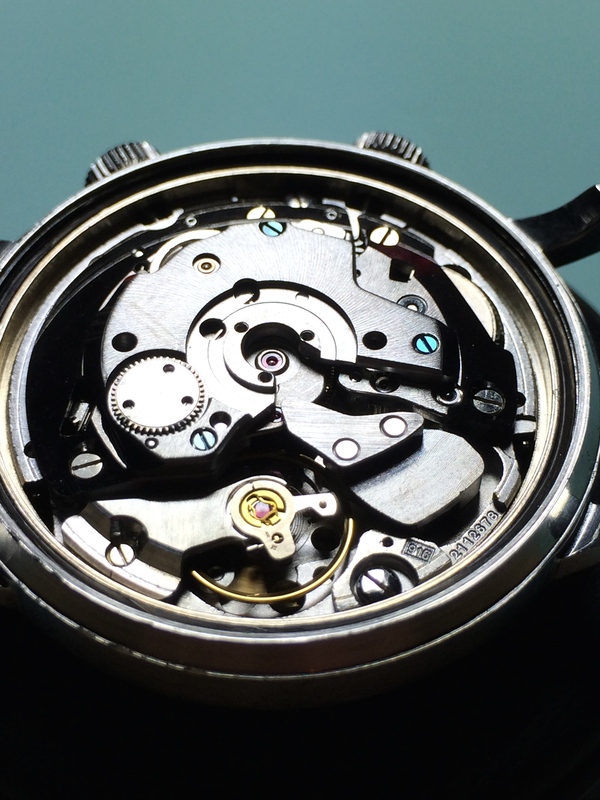 There are just certain unattainable parts that prevent a watch from reaching its prior perfection. This Memovox is a great example of the latter. While its flaws represent a slight detraction in overall value, it presents a fantastic buy opportunity for those with the patience to wait for the one perfect part to show up. As can be seen in the pictures, this piece is one original crown away from near perfection. From where it was to where it is today is a true story of restoration. I got it in non-running condition, with a broken alarm, scratched to hell, and with a crystal so cloudy that you could barely read the time or see the alarm indicator. Additionally, the alarm stem was not the right stem, the crown tube was crushed, and it did not have an original crown. After a torturously long restoration that involved some of the hardest parts to find, I was able to remedy everything except the non-original crown and some of the scratches on the case back. I do not know why improper case opening is so common. It is not hard to do it right and it is beyond me as to why so many people not only do it wrong, but after damaging the back, they persist. Get a good opener or don’t touch the back. Introduced by Jaeger-LeCoultre in 1950 the Memovox is the slightly less revered, but the more rugged, sportier younger brother of the Reverso. 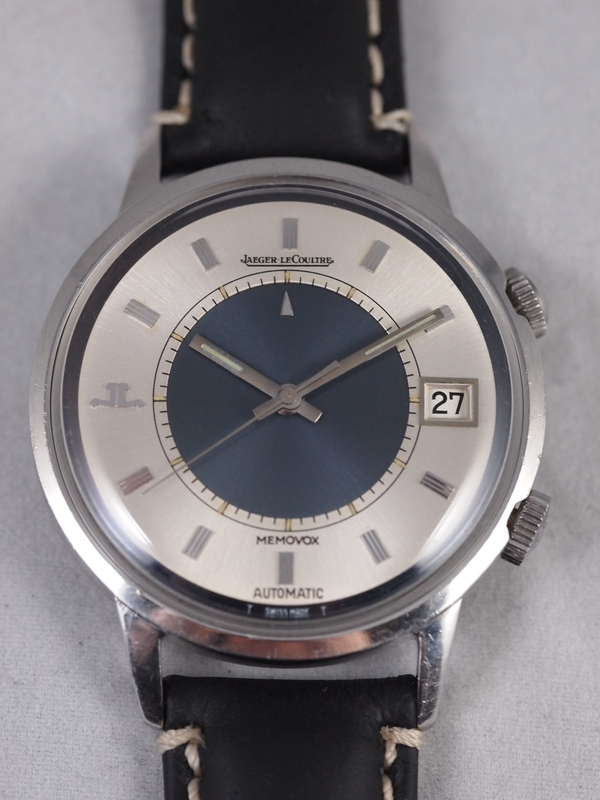 In 1956 Jaeger-LeCoultre surprised the world with their invention of first self-winding alarm wristwatch. 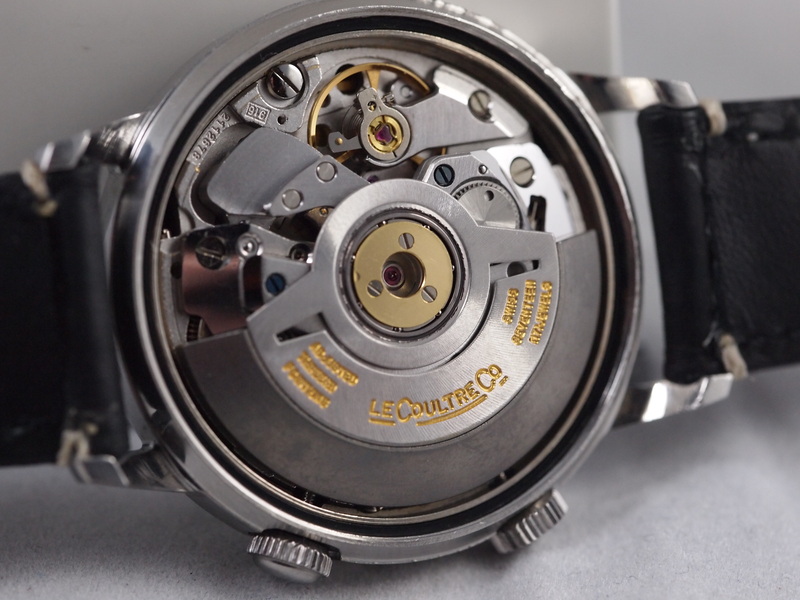 The 70s then saw this movement redesigned into the stunning Caliber 916 contained within this watch. It is an intricate and very well engineered piece and most certainly a pleasure to work on. 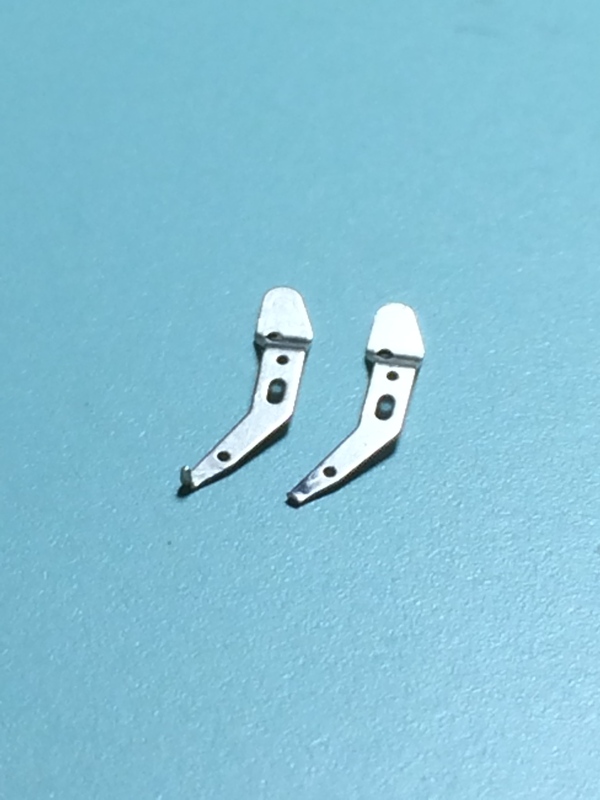 Although they were not the first to invent this complication, they certainly are the most well know for it as they have continuously produced alarm models since their inception. 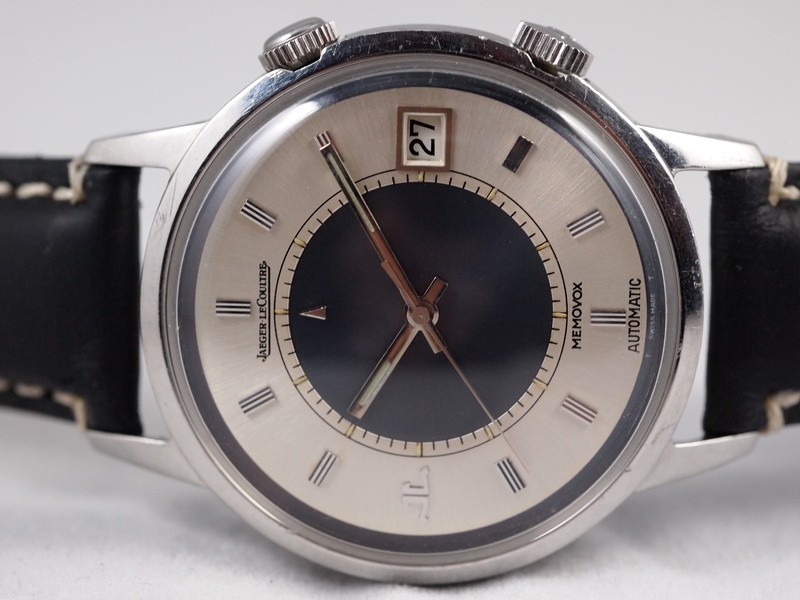 The second most famous maker is Vulcain who introduced their Cricket (which I hope to get my hands on soon) in 1947 becoming the first to introduce this complication into the wristwatch market. Some of the Memovoxes like the Polaris model have the funky 70s look to them, but this one is much more plain and elegant. The blue inner dial with the arrow functions as the alarm indicator. 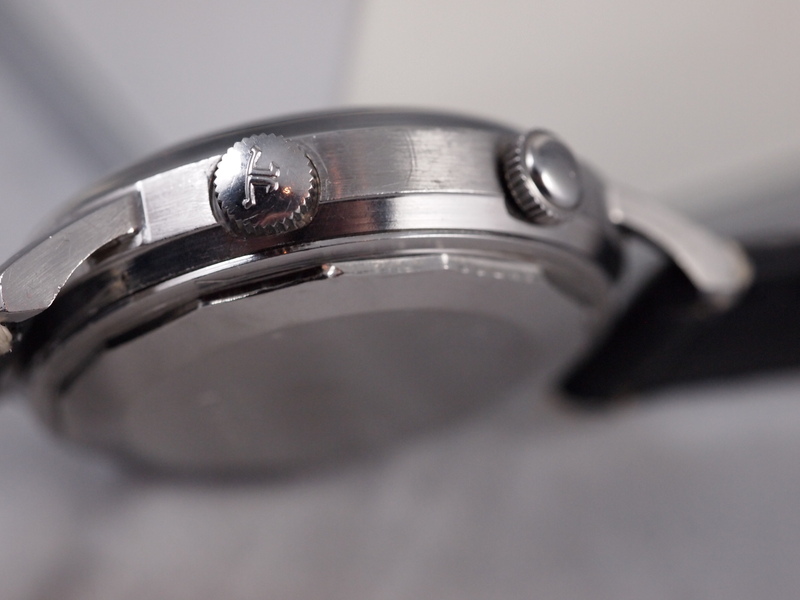 Encased in a simple circular case the watch very well bridges the gap between sport and dress. The restore required two new mainsprings (one for the alarm and one for the main power), a new stem, a new alarm mechanism, two new crown tubes, and a new crystal. This was neither short nor easy, but now that it’s done, it is an absolutely beautiful piece with the one major blemish being the non-original crown and the more minor but very noticeable off the wrist case back scratches. Other than these constant reminders of its sordid past, I am hugely pleased with the outcome, and while the crown is an irking detail, with enough time and patience, I am sure that either its potential new owner or I can track down the proper crown and bring this piece to its full glory. 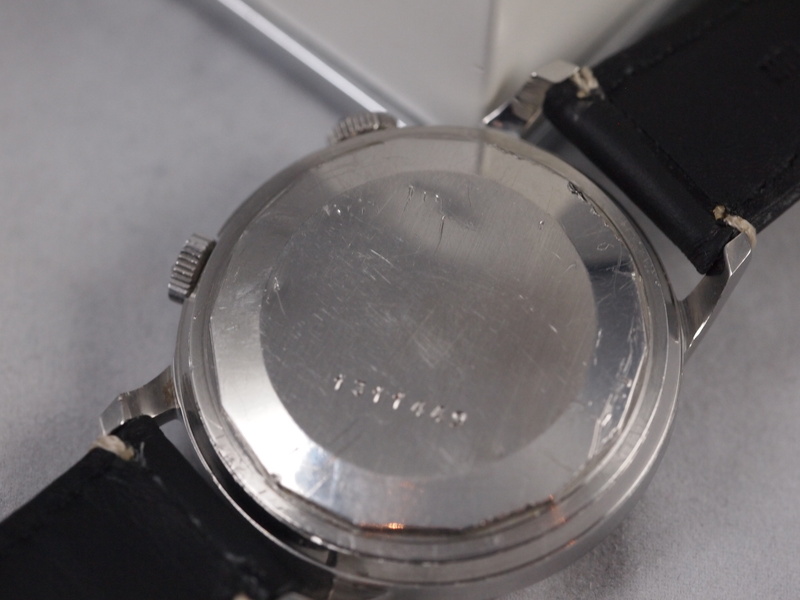 Other than this imperfection, the watch is a great historical piece now in phenomenal internal condition, and definitely a check off my list of pieces I have wanted to work on.